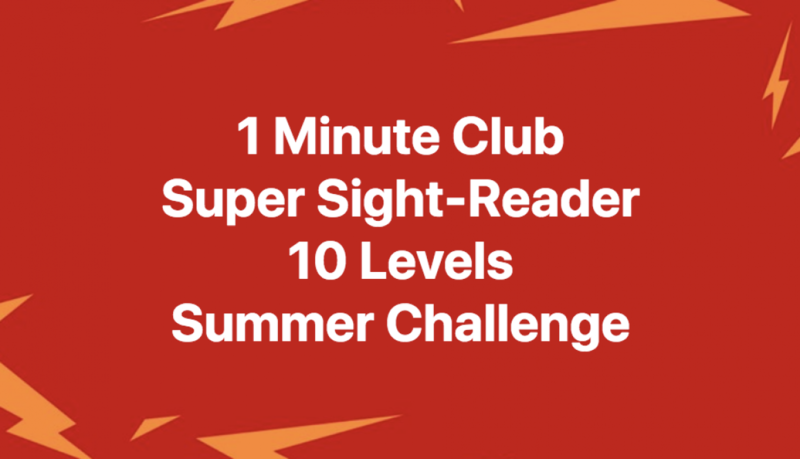 What is “One Minute Club”? 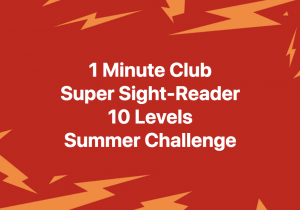 If you want to be a super note-reader, one minute club is for you! 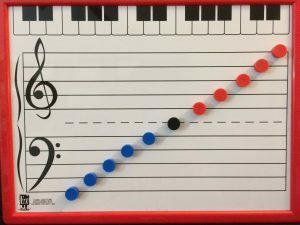 In one minute club, student is challenged to identify note flash cards and “say and play” the notes on the grand staff in one minute or less. 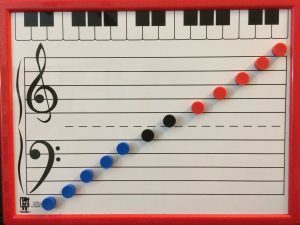 Well-known teachers, Jane Bastien, Susan Paradis and Amy Chaplin, have inspired the piano world with great one-minute club ideas! Level 9 – (12) Ledger line notes (Two ledgers: Low CDE, Middle GAB and DEF, High ABC) P.S. 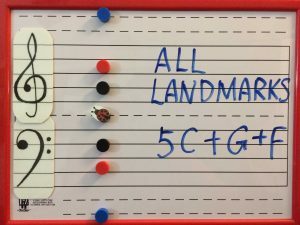 Choice of ledgers is those that are available in the flashcards set I use. 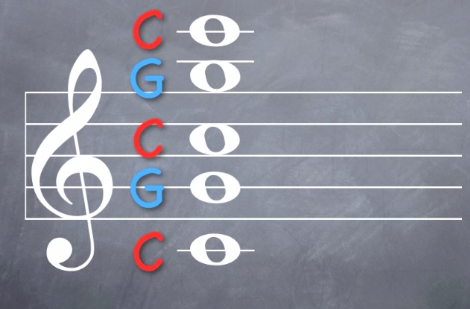 Low C is the lowest and High C is the highest. 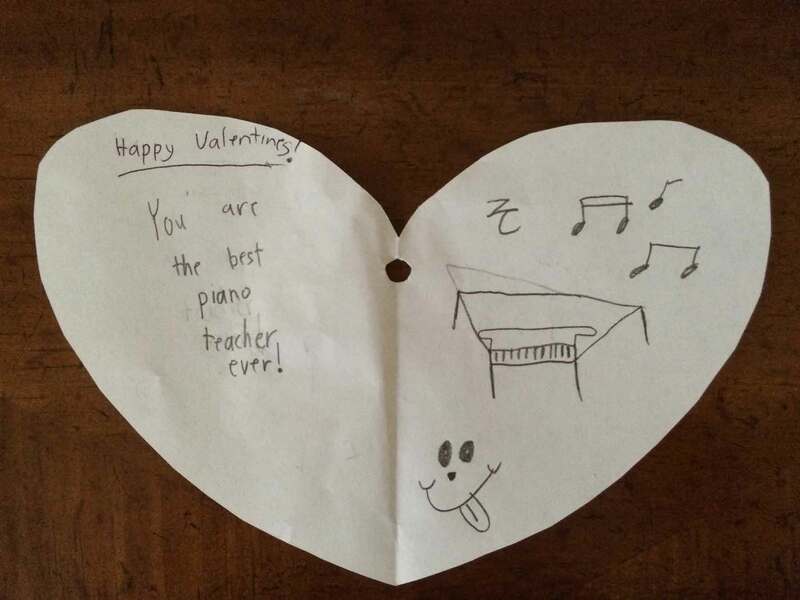 Inspired by my student’s adorable Valentine card, I decided to make a “sound shape” Valentine for her. 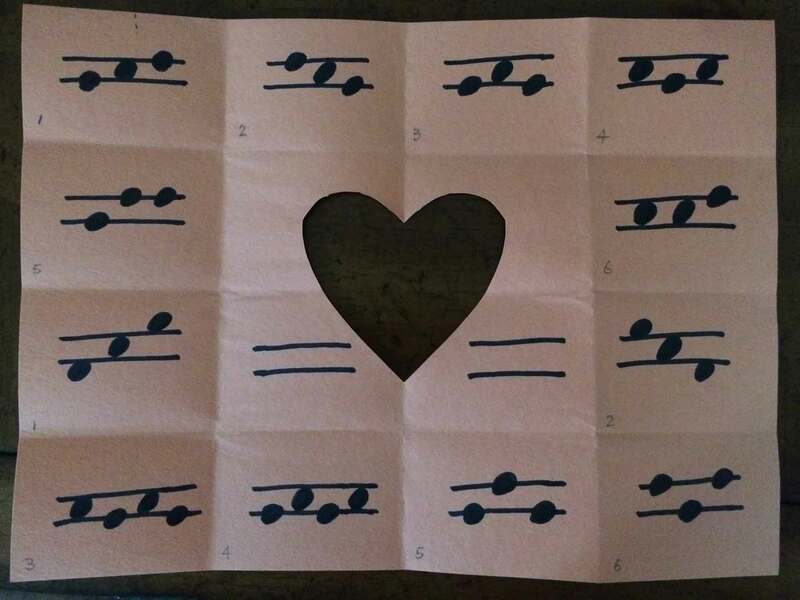 Encourage the student to imagine what the shape looks like and give the sound shape a name. 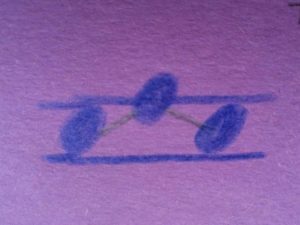 Connecting the dot: Draw line between each note. Does this look like the roof of the house? Randomly choose a sound shape by rolling dice and take the sound shape on a trip around the hand. 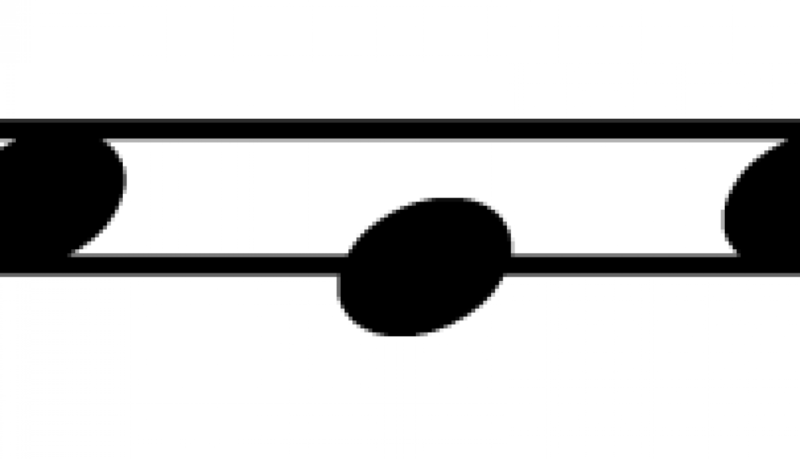 Identify the sound shape just by the finger numbers. Once the student becomes familiar with the numbers, play a Finger Number Bingo game. 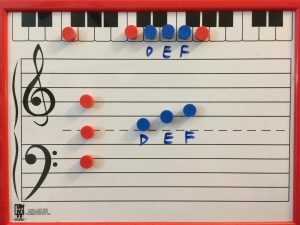 Sing and hand-sign the solfege of each sound shape. 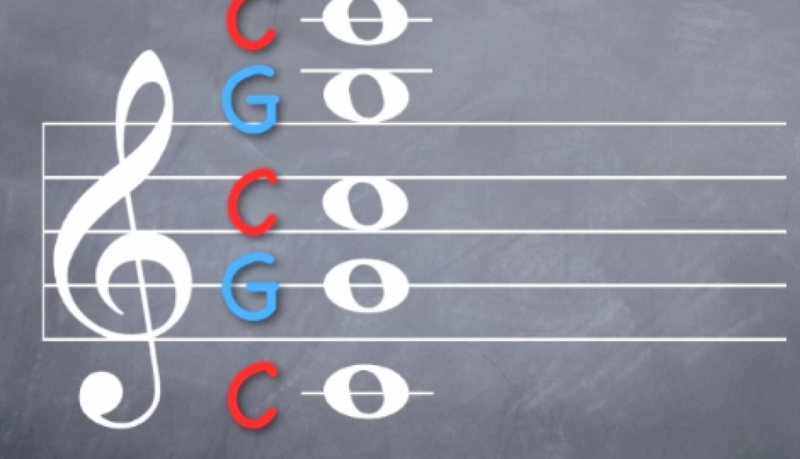 Identify the sound shape by matching the music alphabet. 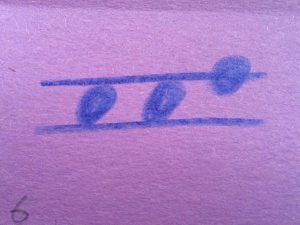 After learning the guideposts, the next step is to identify patterns (for example: steps and skips) and how the patterns relate to the guideposts. 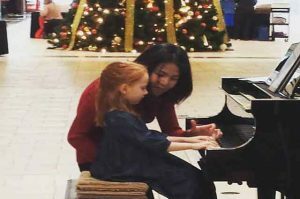 Good sight-readers possess the ability to quickly recognize shape and pattern, and simultaneously translate those shapes into hand movements on the piano. 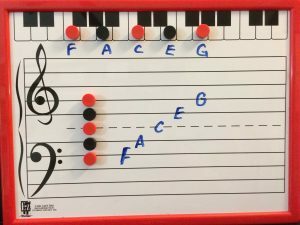 To help my students read music fluently, they need to be able to “see” the shape of the sound. 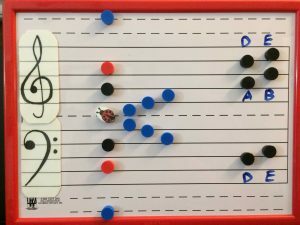 Teacher picks two cards and plays the sound shape for the student. 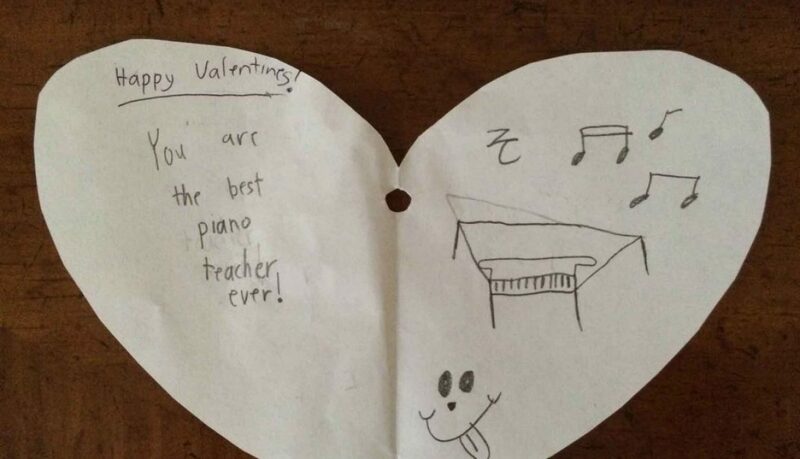 Ask student to identify the right card. This shape looks like letter V (smushed). Imagine how the letter V looks differently with skips. Let your imagination soar….What do you think Christmas Tree shape looks like on music? 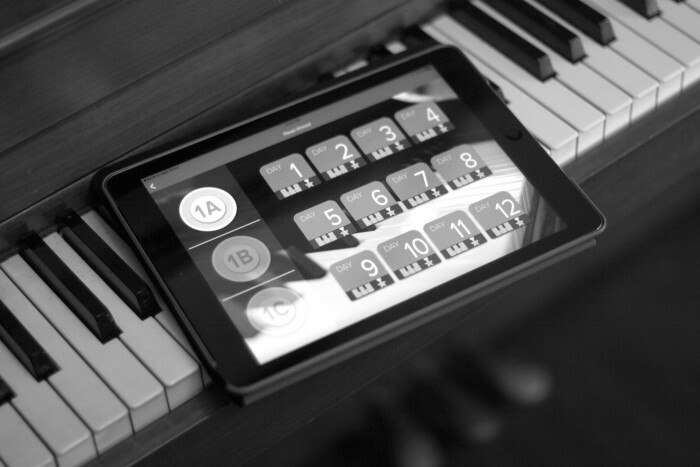 Play the sound shape by moving the fingers in the air, then play on the piano. Beethoven 5th Symphony, 1st mvt. 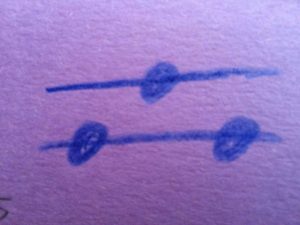 (“fisheye”), Do you see Sound Shape? 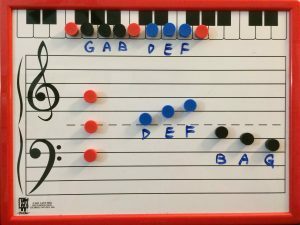 I grew up learning piano following the traditional Middle C reading approach – both LH and RH thumb sharing Middle C and my teacher would add a new neighbor note from Middle C each week and I gradually learned the notes expanding from Middle C.
Then…I came across two other reading methods: multi-key approach and landmark (Guideposts) approach. Over the years, I have become a firm believer in the landmark approach – reading intervallically through the use of guideposts. 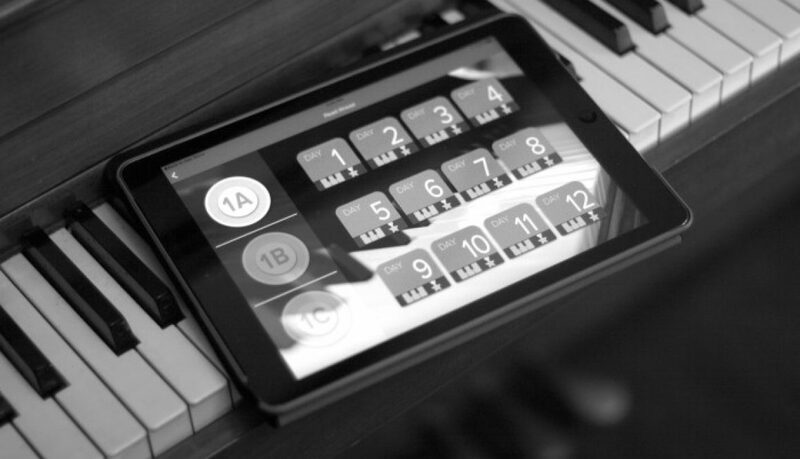 This way students learn to utilize the entire keyboard from the very beginning. I would like to share two videos that are great for reinforcing the guideposts concept. Flashnote Derby has a fun app that my students absolutely adore. They always have a blast when playing the reading app.